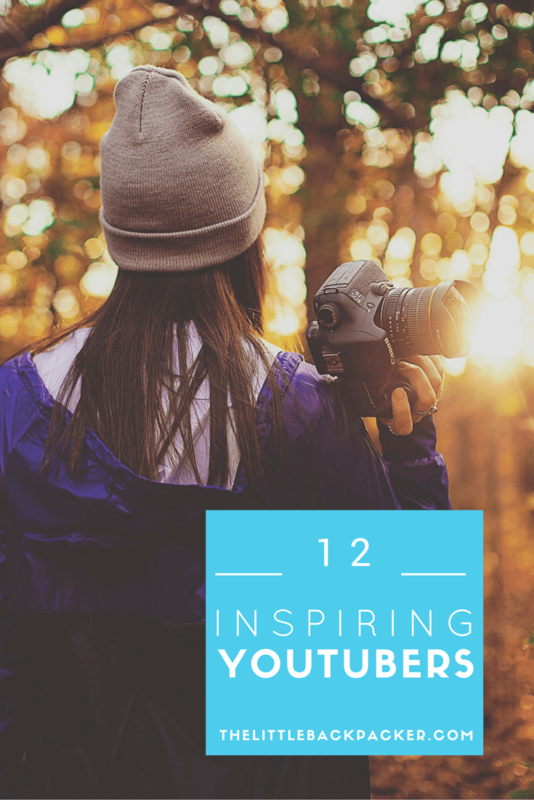 A few years back I published a post about my top vloggers of 2014 since then, vlogging has become much more popular and that post remains one of this blog’s most popular. So building on those two things and the fact my Youtube subscription list has tripled in the past year, I thought I’d share with you who I love watching on Youtube. There will of course be a fair share of travel peeps on this list, including a few from that original list but there are also a few other accounts among this list; lifestyle, fashion, fitness, music etc. These guys definitely featured on that first list of vloggers I wrote and for good reason. Their vlogs have only continued to grow in the last few years and I love their focus on food within a lot of their videos. I was also lucky enough to hear these guys talk on a Youtube panel at Blogstock last year and know how super talented they are. These guys also appeared on that original list and I still love their videos just as much now! I maybe wouldn’t count these guys as vloggers, more like presenters with a videographer to make their videos look stunning – they might not post content often but each update is certainly worth the wait. I have recently started following Jess’ Youtube account and love the mix of fashion, travel and London lifestyle. I find she constantly reminds me to get out and explore London. Oh and her blogging advice is spot on, point proven with videos like the one below. This channel is totally different from anything else listened here. However, this purely music channel is my go to channel when I need music to write to. I use the hour long mixes as a sound track to my writing sessions for this blog and my university assignments. The below mix is one of my absolute favourites. I’ve been following Nadine’s channel for a fair while now and she really knows what she is doing! Her travel videos are fun and capture those everyday moments so well but her channel is also packed full of advice too. Brooke’s channel was another feature in my original vloggers list and her videos have gotten even better since then. I love her mix of arty videos with vlogs and I could just listen to her accent all day long! Her channel genuinely is another of my most watched. It is clear Mollie really knows what she is doing when it comes to creating videos. I just love her Go Pro videos which are all shot in a particular style which makes you feel like you are on the journey too. Not only that but she is a singer/songwriter with amazing talent. This is another channel which is very different to everything listed and is specific to one thing: bullet journalling. I began my bullet journal this year and Kara’s videos were exactly what I needed to set everything up. Now I still enjoy her monthly set up videos and the weekly content she has recently starting producing. I have written an entire posts about these videos so I probably don’t need to go on about them again. However, I could not write a YouTube list without including Adriene. Her channel is defiantly my most watched. Meg’s channel is still relatively new to me and again totally different to the typical channels I love. However, her honesty to approach subjects every girl wants to hear about makes me love it. Dare I say it I have even watched her fashion and beauty videos, not that I’ll be trying her make up anytime soon with my dismal excuse of a makeup collection. Neil’s channel isn’t really vlogging as such but his travel videos are always gorgeous. With a combination of storytelling shots and awesome music these videos will always give me wanderlust. Oh and to top it all off, Neil’s videos are all make using a Go Pro. Who are your most inspiring YouTubers? Leave a comment below so I can check them out. Great list! Defo following about 60% of these myself… will be going through the others very soon! Thanks 🙂 I hope you enjoy those channels that are new to you!